PROTEX Products’ full line of temporary job-site surface protection solutions has you covered for almost every size and scope of construction project. PROTEX Products were designed to be superior alternatives to ‘traditional’ surface protection products with more versatility, durability and cost effectiveness. 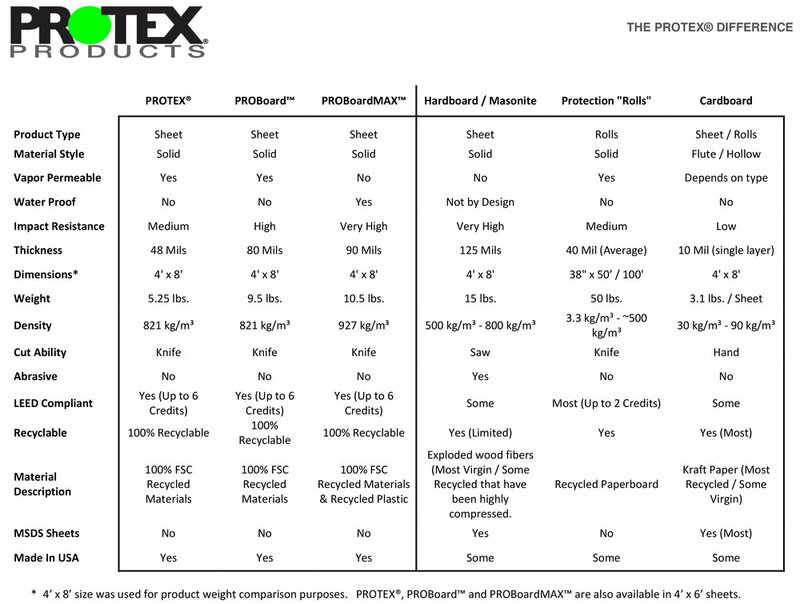 Additionally, all PROTEX Products are Made in USA and LEED Compliant and can help projects earn up to 6 LEED Credits.